Welcome to the Asia Recruitment Awards 2019, Singapore! We’re here at PARKROYAL on Beach Road getting set up for tonight’s exciting awards show. This page will be updated from 6pm onwards, once we start to welcome our esteemed guests. Proudly brought to you by Human Resources, the Asia Recruitment Awards is the only recruitment awards dedicated to recognising the best in talent acquisition within Asia. Get ready for a night of celebration among other industry leaders in the field of recruitment! On this page, you can find tonight’s results, starting with the most recent award presented. Human Resources would like to give a big thanks to our judges and finalists for their hard work and efforts. And of course, a huge thanks to our sponsors and partners for helping make this event possible. Congratulations once again to all our winners and great work to all finalists! 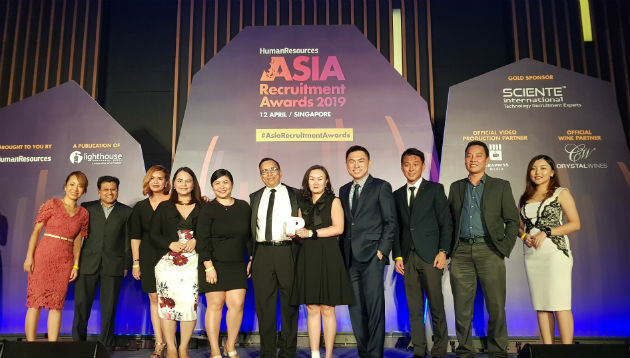 We hope you had fun at the Asia Recruitment Awards 2019, Singapore and we look forward to seeing everyone again next year.